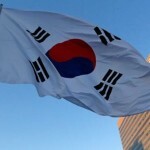 South Korean shipbuilders came in second worldwide in terms of new orders in the first quarter of the year, industry data showed Monday. 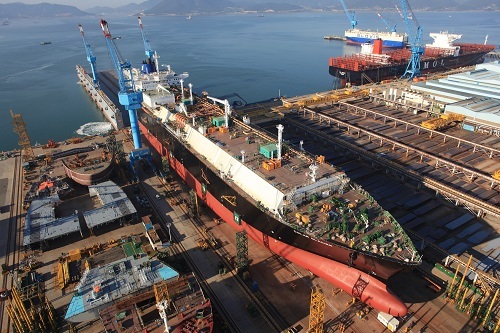 According to the data compiled by industry tracker Clarkson Research Institute, local shipyards garnered new orders totaling 1.62 million compensated gross tons (CGTs) in the January-March period, equating to 35 ships. 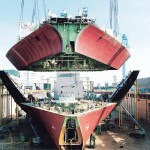 Chinese shipbuilders took the top spot with 2.58 million CGTs, or 35 vessels. 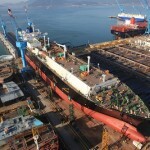 Italian firms came in third with 780,000 CGTs, or 10 ships.